Marisol Contreras joined the Metas program later than most. She was unhappy at her regular school, where eighth grade classmates weren’t as interested in learning as she was, and some of the teachers actually discouraged her from trying. Marisol heard about Middle College High School–a school located on the Contra Costa College campus from which students can graduate with a high school diploma and an Associate degree–but was afraid that she wouldn’t get in. In order to be accepted into the program, she would have to complete the application, write a personal statement, take a test and be interviewed. That’s when Marisol’s mother heard about Metas, a college preparation program based out of CCC. She asked Marisol if she wanted to sign up. It’s an incredible understatement, considering what Marisol has accomplished in the five years since. The change, she says, was immediate. At Metas, she found a comfortable, welcoming home where people volunteered to help whenever she needed it. A tutor named Christopher who took her under his wing, and Marisol caught up on the academic skills she’d fallen behind in at her other school. She also gained a degree of self-confidence that surprises her even now, looking back. But the support offered by Metas went well beyond academics. Marisol doesn’t think her situation was unique. She says that kind of support is available to all Metas participants. 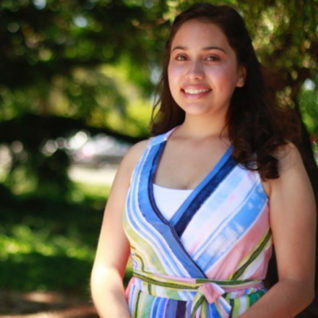 Marisol got into Middle College High School, and during her junior and senior years served as a Metas tutor, herself. She also started to rely on Metas more for guidance about her future, especially leaning on staff and peers for advice about college. Marisol gradually became more active in her community, as well. After speaking at a Contra Costa Community College District board meeting, she became involved in creating a resolution through which the district re-affirmed its commitment to protecting undocumented students that would go on to be approved this past January. In May, Marisol graduated with a high school diploma, three Associate degrees and at least 11 scholarships. (She’s lost count.) This summer, she was awarded a fellowship in the Google Ignite Digital Marketing Program, where she advised Silicon Valley businesses about their online presence. This fall, she started classes at UC Davis, where she is considering biology and cognitive science with computational linguistics as possible fields of study. And, she hopes to continue serving as a tutor and mentor at Metas, in spite of the challenging commute from Davis. Marisol looks forward to continuing to make them all proud.